Play Spider Solitaire online for free now! Spider Solitaire is an integral part of online gaming, because it was the first game included in the Microsoft Plus package for Windows 98. That’s why Spider Solitaire became popular very quickly and in 2005 was played more than any other game on Windows PCs! On GameTwist you can enjoy a modern variant of the card game Solitaire. Often, you can even play for free! Before you show your Solitaire skills and arrange the cards in the correct sequence, you can learn more about the game here to become an even better player. Spider Solitaire is a popular variant of the classic game “Patience” that can also be played as a duel between two players on GameTwist. The game promises thrilling fun with 104 cards in total and plenty of challenges. This how you get the hang of Solitaire: Try to group the cards in sequences in as few moves as possible. A sequence consists of a continuous array of cards of the same suit with descending face value, starting with the King as the highest card down to the Ace. 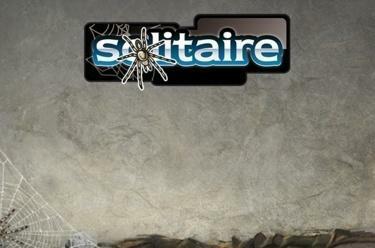 That’s the scope of Spider Solitaire on GameTwist – play on the next level! There are plenty of different Spider Solitaire games: Tripeaks Solitaire, Crescent Solitaire, FreeCell Solitaire and Spider Solitaire 2. However, we have created our own version that leaves the competition in its wake! Our game options in Solitaire allow you to choose whether any player may come to your table or just your friends. You can also decide whether you would like to have a practice session. You can choose between two difficulty levels. The playing field is neat and tidy. Thanks to our smartphone app Solitaire, you can also play this game on your mobile – often even free of charge! Would you like to find out more about potential moves to get each uncovered card swiftly to the right pile? Then brush up on your Solitaire skills before starting a new game. Clear the columns as quickly as possible! You can store cards you don’t need immediately in columns, making your game more flexible. Pace yourself – this card game requires patience! Always focus on the next pile you would like to clear instead of working on several piles at the same time. Lost your bearings? Rearrange and play with a clear mind! If you get stuck with Solitaire, you should have a short break and try to create a new game situation by rearranging the cards. Solitaire variants on GameTwist: this card game is all about cool action! If you like classic Solitaire, you have come to the right place! Start your online adventure now and get to know Spider Solitaire – a game that will captivate you right from the beginning. Maybe you’ll even have a run today that will live long in the memory. Winning has never been more exciting than with our Spider Solitaire game! We’ll keep our fingers crossed for you – may the gods of Solitaire be on your side during your next spree ♥!